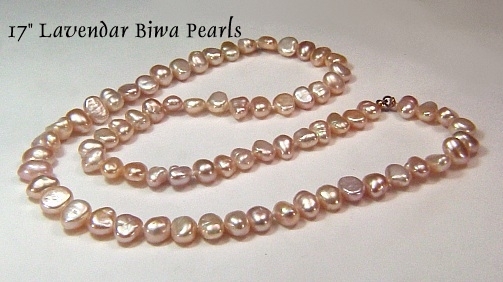 Unique shaped genuine cultured pearls with lovely luster and beautiful pink hues. 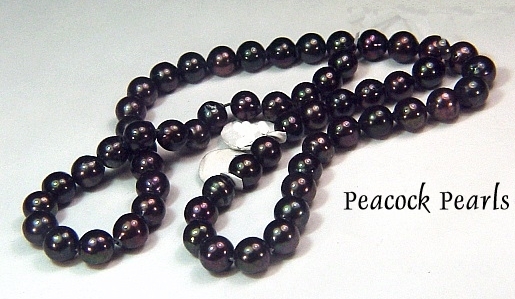 17" strand of Japanese Biwa cultured pearls with 14KY clasp. 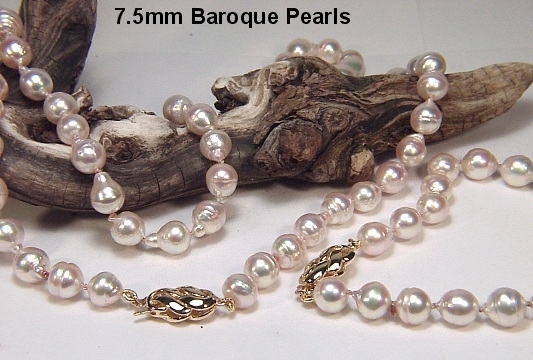 The cultured pearls measure 6mm across and go well with pink, lavender and even peach tones! 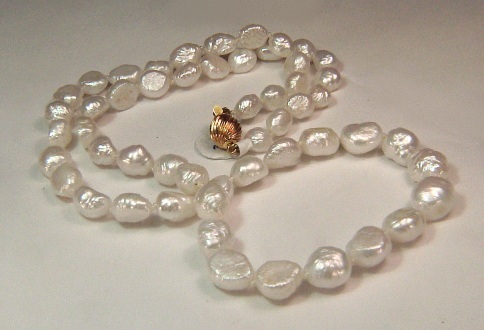 17" necklace hand made from 3 intertwined strands of 5mm potato cultured pearls with 14KY roundels. The piece is braided on 14KY chain with a 14KY clasp. Choose from round, oval, marquise, pear, emerald, princess, trillion or heart shaped. Call us with your choice of stone, stone size and cut and we will gladly provide a price quote. We gladly accept bank drafts, wire transfers, money orders, VISA, MasterCard and Discover (sorry NO personal checks, business checks or AMEX). All orders outside the USA require either a bank draft or wire transfer. If you prefer you may call toll free number : 1-(888)-727-8266 with your credit card information to ensure privacy and security. Please note: Although we make every attempt to keep our site current, prices are subject to change without notice. Custom items, shipping and rush fees are non-returnable. All returned stock items are subject to a restocking fee. Please see our FAQ's page for more details. 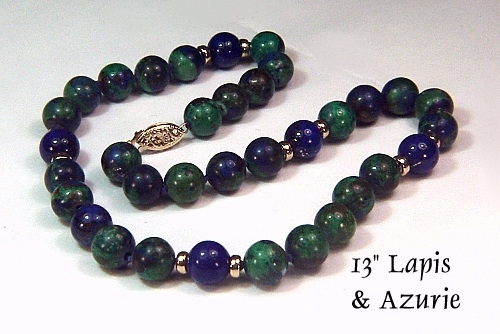 Shipping daily using FedEX which is insured and requires an adult signature.